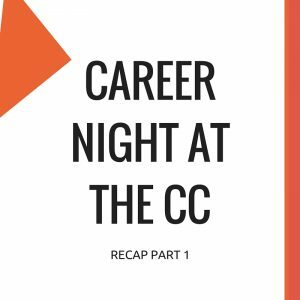 While working at Compound Cowork’s Work Exchange Program I had the opportunity to collaboratively plan an event-Career Night At The CC. One of a co-working spaces greatest resources are their members and this Prospect-Lefferts Garden space was no exception with a litany of skilled contractors and freelancers with expertise from education, personal finance, and more. With a summer intern and one of our members being a former recruiter and current journalist Keith Griffith we decided to ask him about the job seeking process. To get an even more rounded perspective we asked John Enyame, Tech Talent Manager at CUNY Central to join us. 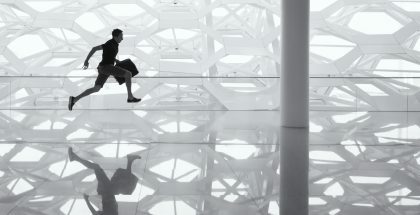 What are the two things a job seeker can do when figuring out what career path to follow? John Enyame: The first thing you should do is just take out the word career and [ask yourself] what is it you would like to do. Make it more of an exploratory search versus this is a set path and you’re never going to stray away from it. I think many folks are intimidated when you say career, that they need to do everything right, everything according to a particular formula in order for them to seem relevant and to seem as though that they have done the right thing. Ask yourself what is it I like to do that I’m interested in trying out and figuring out ways to build a network around [it]. Keith Griffith: John nailed it. How do you want to spend your days? One of the biggest career mistakes I see is people focus on company names. When I ask people “where do you see yourself? what’s your dream job” the answer is almost always “I want to work at McGraw Hill. I want to work at Google.” That’s just the name of a company. Well do you want to be the janitor there? They have all sorts of people working there and all sorts of jobs. Pay attention to what you’re good at, what you want to grow at and figure out what the roles are where you want to be. And then the one counterpoint I’ll offer to the free-for-all pick it up as you go is one of the first pieces of advice you receive in survival school- It’s better to have a bad plan than no plan. 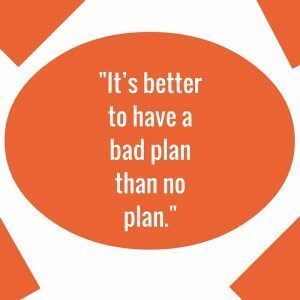 So do have a plan, think about your plan, but don’t be afraid to change it as you go along. You haven’t updated it so it’s now more networking what you’re doing as far as getting your opportunities? Keith: Yeah, I’m at a point where there’s too much work. I don’t have enough time. I’m not really hungry for assignments right now. Over time my portfolio has changed a lot. It’s a lot of the same stories, but I’ll change how they’re organized. So say I’m applying to jobs in the tech field. I’ll pop those stories up to the top. I’ve done a lot of city government and written about school systems. I do try to keep an eye on does it make sense if someone goes to my website or goes to my portfolio and I’m applying for tech news, tech jobs. Is the stuff there going to be relevant to them. Are they going to get a sense of my experience doing that? Who needs an online portfolio if you’re not a writer? Keith: Everyone. You should still have a LinkedIn. John: What have you been doing that shows you have an affinity for a particular thing? How have you been using your voice? The resume itself is very one-dimensional. You give it to them and you hope that they can discern that you can do much more than those bullets. Know your work and know your interests enough where you can tell a story. A portfolio is used to keep track of bodies of work. What should a job seeker put on their LinkedIn? Kristen Euretig: There’s a new feature now where you can link outside links to your LinkedIn and it shows like a little image of the page. I think we do more than we’ve realized we’ve done and it’s a matter of collecting it and presenting it. Keith: I’ve had longstanding, independent contract gigs with a publication. So what I do is put Contributor or Contributing Reporter. I try to avoid using the word freelancer. It sounds so loosey goosey. I say Contributor, contract employee, anything but freelancer. 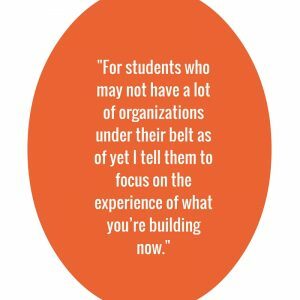 John: For students who may not have a lot of organizations under their belt as of yet I tell them to focus on [the experience] what you’re building now. For example, I was speaking to a young lady was interested in [IT] networking. She didn’t want to list her previous job working at a supermarket. So when probing this concern I asked her to explore why not. It turns out she was not just a cashier, but she also worked in the office areaand probing a little bit more revealed that she helps to manage the devices and the cash registers which are connected to the servers. These are the things [valid experience] she’s not learning in school. Don’t just limit yourself to the title, put down other things you’re doing if it’s applicable. Keith: Point of sales operation. John: Exactly. That point of sales operation she wouldn’t have come up with it herself. Keith:If I were to recommend a job hunting tool right now LinkedIn is one of the best right now. First off there are lots of platforms out there so don’t try to put a whole lot on your plate. If you’re trying to put your voice out there then find something. Don’t take on the extra work of trying to build a blog or a website. You don’t need to do all that. At least not now. LinkedIn allows you to kill two birds with one stone. It also centralizes your portfolio. How do you connect with someone on LinkedIn you’re not familiar with-yet? Keith: Ask them for advice. John: For what size orgs? What’s considered a big organization? Keith: Something over 5,000 employees. For an entry-level high volume kind of situation they’ll look at your resume. Is this any kind of relevance, what’s the experience, does it match what we’re looking for? And then maybe go and spend just 10 seconds, 20 seconds on the cover letter to see if this person can write. If you’ve worked at a small organization not many people have heard about how do you show that you’re a better fit than the person who worked at Google? Keith: It’s a good question. For that reason a lot of people they want to have a big name on their resume because it’s the shorthand for this person has worked in a high level environment. The most important thing you can do is to have a coherent story that makes sense. Have a narrative. The way that I look at a resume is I go to the bottom, education first, what did they study and then I go chronologically through time. I’m looking for a story. How has this person progressed? Maybe they’ve made a career change. Is there a progression there that makes sense? A dangerous move is to pack, cram every detail, every idea. So to me if you want to be the person who has a Google internship, bring a strong story that applies to the role. Everything has led up this role at this company. John: I agree with Keith, the story is certainly important. Bias is going to come up in different forms. Things you can’t help like where you went to school, the organizations that you’ve worked for. If someone worked at Google then the bias is already skewed towards [the] big name company. Maybe you used the same technology as someone in Google. Have you done things folks at Google wouldn’t ordinarily have thought to do? How much time should someone spend on filling out an application? John: I’m not a fan of those long application forms. It should take five to seven minutes to fill out an application because you’re putting some thought into it. Keith: Just the initial step should be very quick for both sides. I think seven minutes is reasonable for an application you’re filling out online. What about job applications where you’re sending in your cover letter and resume to an email address? How long should a cover letter take then? Keith: Still only 7 minutes. For a cover letter you only need to tell them why you’re interested in this job, why you might be a good fit and that you’re interested in learning more. That’s it. 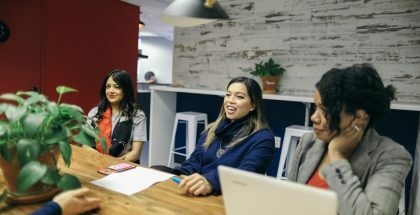 How do we increase diversity in tech and journalism, and in general? Keith: You’re not supposed to take into account any protected status, such as gender or race or marital status. But when I walk into a room to meet a candidate it’s very rare to meet a person of color. I don’t like to look around my newsroom or my workplace and see that everyone’s the same. You want to find qualified people, but if you can find qualified people from a diverse background it’s exciting. The hard part was getting to that-the interview. I think as employers there are proactive steps you can take so we would reach out to different professional groups focused on representing certain minority groups. But it was tough. There’s probably things I could have done that I didn’t do. And I would love to hear some thoughts, but it was tough to get people in the door. John: The first step is for an organization to acknowledge that they have a lack of diversity and address that when adding people to their team. What would push them outside their comfort zone? When it comes to diversity I think it’s about where are you going right now to find applicants? When the applicants come in what are the things you’re looking for and has those things you’re looking for resulted in a certain type? You don’t see it often, but I am a fan of blind reviews where the only thing you can see is courses [or] companies, but you don’t see their name, where they live and I would even say don’t see what school they went to because these are things that quickly paints a picture of what this person may be like. Keith: Are you aware of any application portals that have a blind application functionality. Keith: The school thing that really resonates. But isn’t looking at a school a valid qualifier? Some schools are better than others, no? Keith: But how does that make them a better candidate? I think it’s an automatic reaction to think a name like Princeton means something. What does it really mean? I think more than anything it means their parents had a lot of money. Is that valuable information? John: It doesn’t take away from the student because they probably did a great deal in order to get to school, but let’s make that a conversation. Let’s talk about that when they come in for an interview. Keith: In tech this has become a big thing. When I was a recruiter there was this phrase “culture fit”. Is this someone who meshes with the company? And I think in the past five years culture has become a term to signify somebody that we like and it becomes another vehicle for structural bias. Meaning somebody who looks like me. Do they like the same sports as me? Stupid things that are not relevant to the job. What’s the most powerful tool a job seeker can use but often doesn’t? Keith: I would save this for last-what question should I have asked you in this interview? And then ask them that question. John: The first thing is read. Sometimes we get so caught up in the application process that we don’t take the time to read about the events that are relevant to the industry we’re in. The second thing is to take time to write. Even if you’re not posting it. Write for yourself. Build up that analytical rigor. Third thing is network. Have conversations that will further your learning and understanding of the person. Keith: A friend of mine who’s really good at networking-she’s the master of it- I asked her to explain it more. She said ‘Networking is only one thing-helping people. That’s it.’ Can you help connect them with somebody else. If you can’t file away and whatever it is that they need maybe it’ll pop up sometime.